Russian death lords Bestial Deform have returned after almost eleven years since their previous record, ‘Stop the Christianity’ in 2005. As with a lot of releases from the great motherland of the east, you find that Russian bands tend to have a more pissed off out look on life, and this appears to translate well into the thunderous chug of death metal. 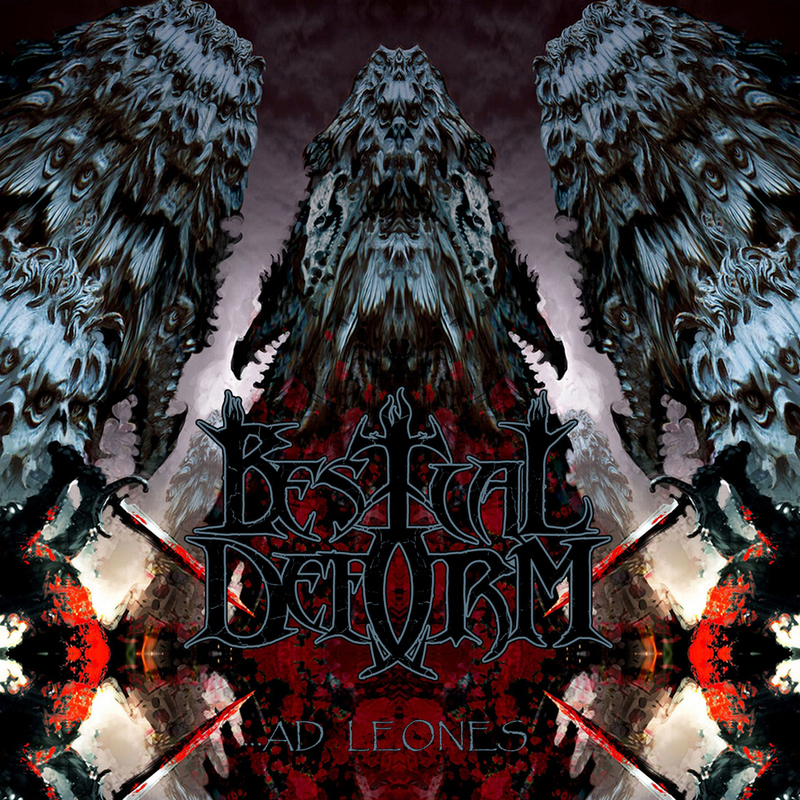 …ad Leones is out now on Satanath Records. After a suitably moody intro, interspersed with screams and distorted growls, first track proper ‘In Maxillis Bestia’ is a rabid slab of guttural death metal rage. The vocals are particularly good, with a thick gargling growl backing up the chunky riffs. You can tell that the influences of Floridian death metal have definitely made it as far as Russia, with tracks like ‘Sever to Pieces’ and the arse tearing ‘Chariots’ worshipping at the mad altars of Morbid Angel and Deicide. The riffs are superb, and the pure tectonic rumble of ‘Spirit.Rage.Flash’ is a joy to behold. Bestial Deform combine the blasting power of the likes of Hate Eternal with the uneasy riffing and violence incarnate of Immolation to create something pretty damn good. Their anti-Christianity rhetoric stirs up some genuinely savage parts, and the closing title track is a beauty. Yeah ok, some of the English song titles seem a bit confusing, but it’s a small complaint in a record that is perfectly happy to bludgeon you in the back of the head and drag your corpse off into the void. Blast this loud.